Need Commercial Gardening and Mowing contractors in Wacol East Immigration Centre? We offer commercial contract gardening and lawn mowing services in Wacol East Immigration Centre, catering to real estate agents and landlords, businesses, schools and universities, hospitals and more. Jim's Commercial Mowing services in Wacol East Immigration Centre offer fully trained staff, who can advise you on all aspects of garden care, from plant selection, pruning, fertilization and mulching schedules, watering frequency, pest control, soil pH, plant feed, weeding and wetting agents best suited to each plant, tree and lawn type. It is important that trees, flowers and plants are not damaged when fertilized or mulched.Likewise, watering too frequently can deteriorate soil nutrients and change soil pH levels, reducing the lushness of plants and lawns.Our fully trained gardening team know this, and so much more, so don't leave your business's gardening care to just anyone. 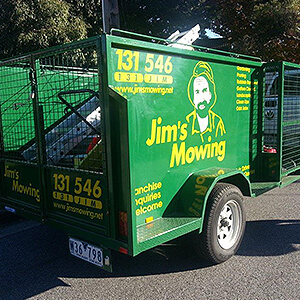 Call Jim's Gardening Commercial Services in Wacol East Immigration Centre on 1300 191 565 now or Book a Jim's Contract Gardening Service online, today.